Extensive research indicates that procrastination is associated with many maladaptive outcomes including diminished performance and greater psychological distress, but the specific factors and mechanisms associated with the vulnerability of procrastinators still need to be identified. The current study examined the associations among procrastination, ruminative brooding, mindfulness, and self-compassion. Procrastination was measured in terms of academic procrastination as well as a cognitive measure of procrastination examining the frequency of procrastination-related automatic thoughts. In addition to the main focus on the vulnerability of procrastinators, the question of whether students with multiple vulnerabilities would be particularly at risk for depression was also assessed. A sample of 214 undergraduate students completed measures of academic procrastination, procrastination-related automatic thoughts, rumination, mindfulness, self-compassion, and depression. Correlational analyses showed that both procrastination measures were associated with ruminative brooding as well as reduced mindfulness and self-compassion. Moderator-effect tests yielded no significant interactions. Overall, our findings highlight the relevance of cognitive factors in explaining procrastination and depression. 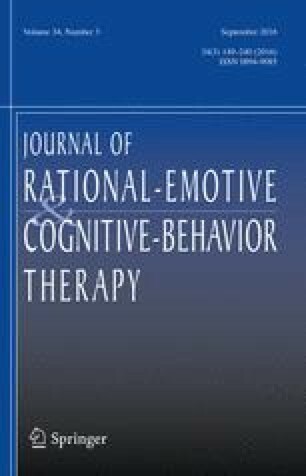 Elevated levels on measures tapping cognitive risk factors (ruminative brooding and procrastination-related automatic thoughts) or a low level of protective, self-relevant cognitive factors associated with resilience (mindfulness and self-compassion) were related to a high level of procrastination and depression. These results imply that procrastinators might be vulnerable to depression due to the joint presence of these cognitive risk and resilience factors.